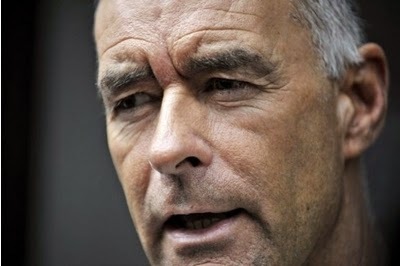 Solidarity leader Tommy Sheridan has tonight urged pro-indy voters to unify around the SNP at next year's general election. In what he stressed was a personal statement posted on his Facebook page, Sheridan outlined his belief that party differences had to be set aside in the greater cause of the Yes Scotland movement and a new referendum in 2020. He said: "Over the last couple of days I have been inundated with thousands of Facebook and Twitter messages from disappointed Yes supporters looking for a way forward. "I am encouraged so many have decided to become politically involved and stay politically engaged. Leaving politics to the politicians is a recipe for poor governance. "Obviously I welcome those wishing to join my own party Solidarity...However it is not enough. "What I am about to say is uncomfortable for a socialist like me. I oppose the SNP position on Nato membership, cutting corporation taxes for big businesses, retaining the Queen as a head of State, sharing sterling and other policies. "But in order to maximise the pro-Independence vote in next May's General Election I believe all Yes supporters should vote for the SNP and all other pro-Independence parties should not stand if the SNP candidate will commit to fight for a new referendum as soon as possible AND against all Westmonster austerity cuts to welfare and public services. "In other words I suggest we in the Yes Movement promote continued unity by backing the most likely Independence supporting candidate at next May's election. In concrete terms that means advocating an SNP vote to try and unseat as many pro-No party supporters as possible. "Let's punish the reactionary and dishonest No parties at the ballot box next May. Let's punish the shameful Labour Party in particular for siding with the bankers,bosses, billionaires and millionaires to try and crush our dream of a new and better Scotland with an avalanche of fear and lies." Sheridan added: "The Holyrood elections in 2016 allow for more socialist, green and diverse candidates to be elected. The Westmonster system doesn't. If SNP candidates commit to fighting for a new referendum and against austerity cuts let's unite behind them. "If successful then we should insist all pro-Independence candidates in the 2016 Scottish election commit to a March 2020 referendum. This magnificent movement for independence and change can continue and grow. We have youth, energy and hope on our side. Hope can triumph over Fear in 2020. "I realise some socialists will find it difficult to support SNP candidates. That is understandable. But the stakes are huge now. We cannot let down the 1.6 million who defied the threats and intimidation from the rich to vote for a new and better country and world. "Unity is strength. Don't let our differences weaken our cause. #HopeOverFear remains our clarion call. Tommy."